Iodine compounds play an important role in the medical field. Because of their antimicrobial properties, these compounds are effective antiseptics. Thus, they are commonly used by medical professionals as a skin preparation agent to reduce the incidence of infection after surgery. Surgical site infections are infections that occur within or near a surgical wound within 30 days of a surgical procedure. These infections can lead to a number of complications, including increased length of hospital stay, higher readmission rates and worse outcomes for patients. In many cases, surgical site infections also increase expenses for both hospitals and patients alike. Surgical site infections typically occur when surgical wounds or incisions become contaminated with the patient’s endogenous skin flora, microbes from the operating staff or microbes from the operating room environment. In order to prevent surgical site infections, healthcare professionals use various measures to reduce the number of microorganisms that come into contact with the incision. Iodine is a broad-spectrum bactericide, capable of killing most gram-positive and gram-negative bacteria, including MRSA. Iodine also eliminates protozoans, viruses, molds, fungi and yeasts. 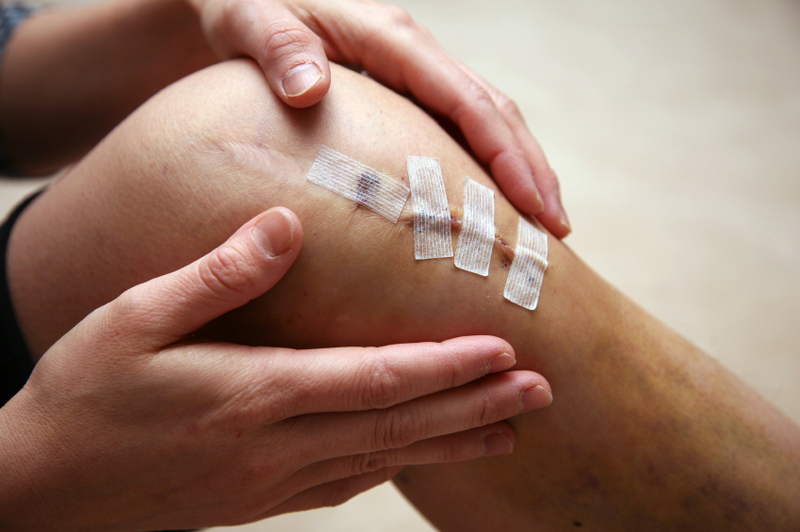 By applying iodine compounds to the surgical site prior to the procedure, medical professionals are able to sterilize the patient’s skin and prevent contamination of the wound. •Effectiveness – Iodine is effective against most organisms capable of causing surgical site infections, including MRSA and tubercle bacillus. •No risk of resistance – Studies have shown that bacteria do not develop a resistance to iodine-based surgical antiseptics, making this preparation appropriate for repeated use. •Low risk of systemic absorption – The risk of systemic absorption of iodine is low, and iodine toxicosis is rare. •Durable in the surgical environment – Certain surgical skin preparations containing iodine have demonstrated high durability even in wet surgical environments. •Cost-effective – Because iodine skin preparations are affordable and can effectively reduce the incidence of expensive surgical site infections, they are a cost-effective option for the facility. The Ajay-SQM Group has over 45 years of experience in the field of iodine chemistry. We are proud to offer the Iodeal brand of products to healthcare providers and facilities all over the world. Contact us to learn more about the high quality iodine-based products we manufacture and distribute.